I love love love making little onesies for all my friends. They're easy, personal, and great for baby shower gifts. All you need is a onesie and some heat transfer. I use my Cameo to cut the designs. 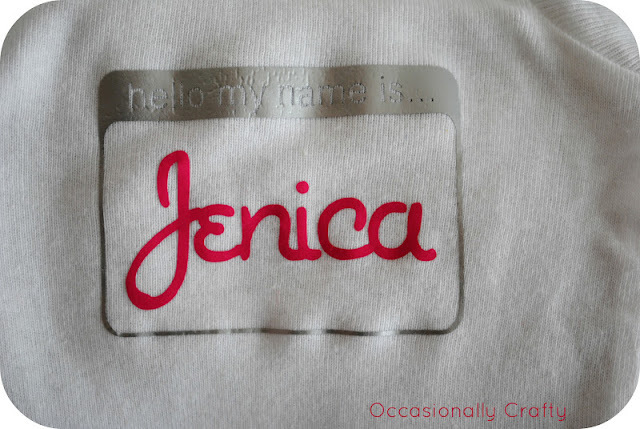 The first one is a design I made myself to resemble a name tag. Then depending on the gender I do a pink or blue name inside. Next is just a simple saying, to which I added a flower and sewed on some cute buttons for a nice 3D look. 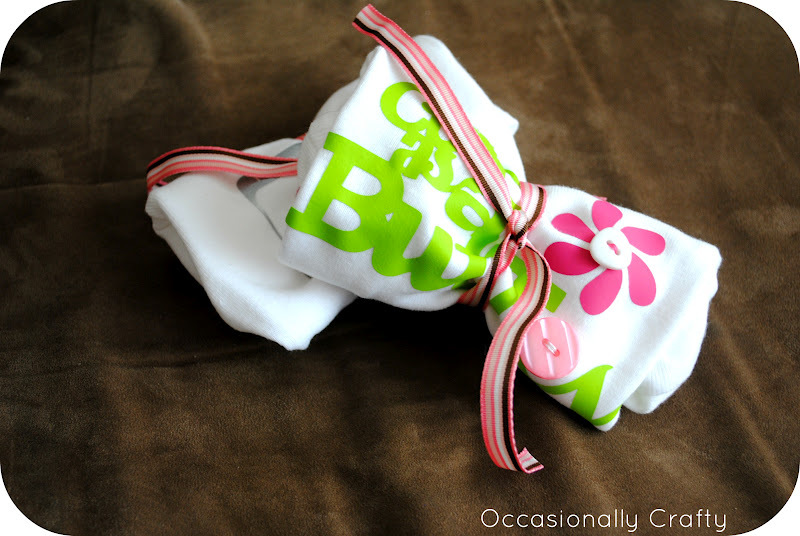 Then I just love to roll them up and tie off with cute ribbon and include in a basket of essential baby items! What do you like to give for baby shower gifts? How cute!! Love the name tag! Very creative! !